The Associated Press and many of the AP's colleagues in the establishment press have had a nearly 60-year romance with Cuba's brutal communist regime. They have frequently regaled readers with the island nation's "free healthcare" and "free education," as if that makes up for the fact that the typical Cuban subsists on far less than the $2 a day the international community considers extreme poverty. 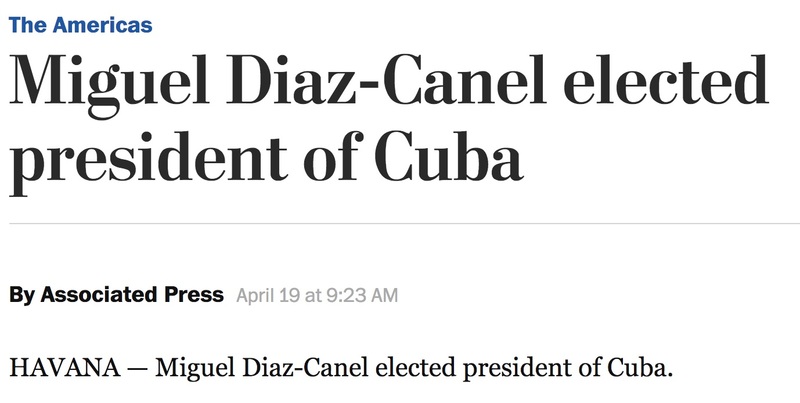 Thursday, the AP, in a tweet and at least two headlines, pretended that Miguel Diaz-Canel's ascension to Cuba's presidency was the result of being "elected." Even "selected" would have been a better choice. Perhaps the AP and leftist media outlets have limited the use of "selected" for describing George W. Bush's fair-and-square electoral victory in 2000; the far-left fringe has always insisted that the Supreme Court "selected" him. A search of AP's images collection on "Fidel Castro" Thursday afternoon returned 7,380 items going back to the 1950s. In 2011, on Fidel Castro's 85th birthday, the AP's Images Division, promoting its Castro photo collection to subscribing outlets, described Fidel Castro as as "iconic," while photos relating to brutal comrade Ché Guevera described him as a "revolutionary hero." 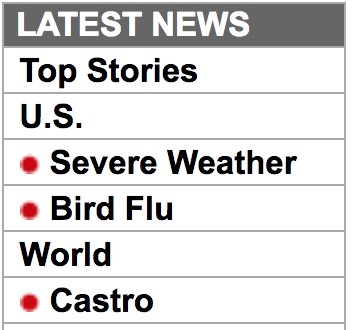 At least one AP raw feed web page devotes a permanent line item to "Castro," a distinction the wire service hasn't even granted to Barack Obama, its U.S. presidential hero. In 2016, when Fidel Castro died, AP described the procession of Castro's ashes to their final resting place as a "near-religious farewell." The jeep carrying Castro's ashes broke down near the end of that journey, briefly forcing soldiers to push it. Shortly after his death, an AP item celebrated how Castro "defied the power of 10 U.S. presidents during his half-century of rule in Cuba," and how brother Raul Castro might be "lengthening the revolution well past both men's lives."